A Diamond Select Release! Thirsty for vengeance? Have a cool beverage instead, courtesy of this solid metal bottle opener in the shape of Eddie Brock, a.k.a. the Spider-Man villain called Venom! Just wrap his teeth and tongue around the bottlecap of your drink of choice and voila - that thirst goes away, perhaps replaced by a hunger for juicy brains. 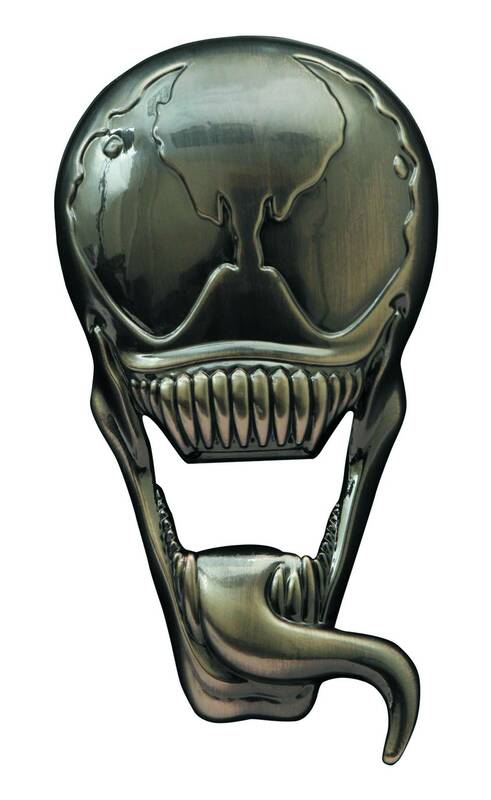 Measuring just under 4 inches tall, this metal opener has a polished chrome finish, as well as magnets on the back to keep him on your fridge, plotting revenge. Comes packaged in a collector case with full-color slipcover..